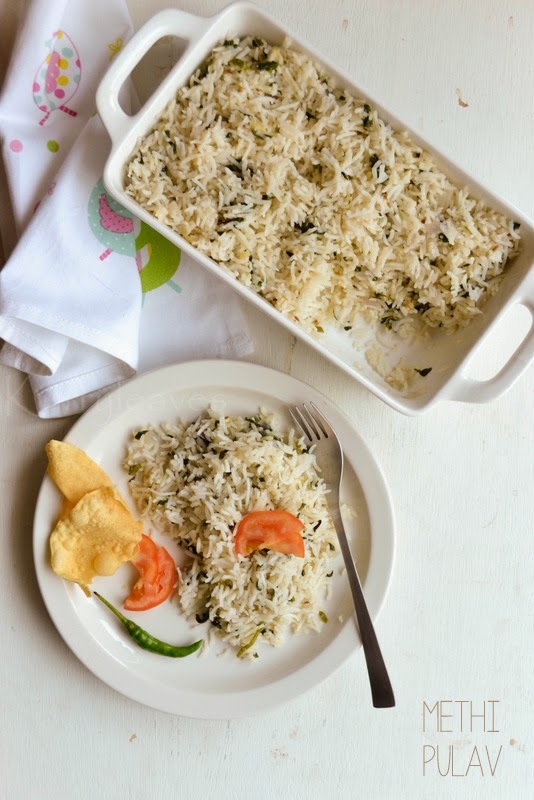 Quick, easy and delicious methi pulav. 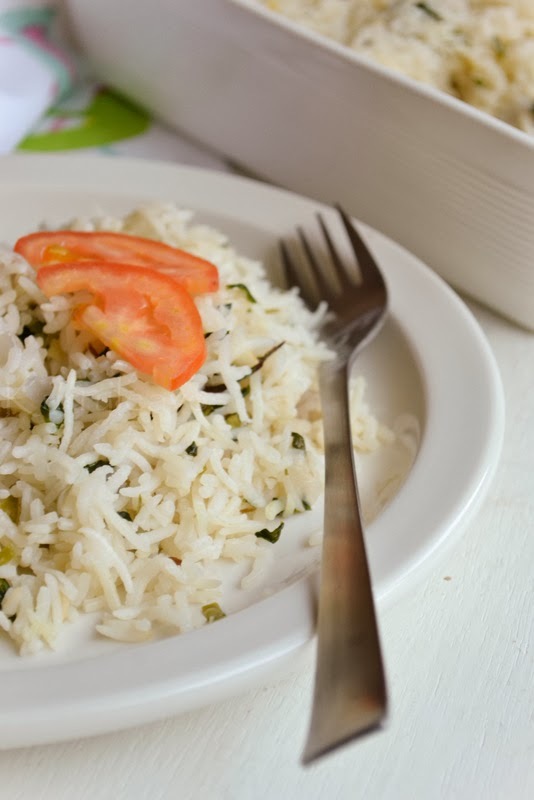 Soak rice in water for about 20 minutes.Drain well,keep aside. Heat ghee/oil in a pan,add cumin seeds,cinnamon,cloves and cardamom,saute for few seconds or until fragrant. Add onion,ginger ,garlic and green chilies and saute until onion turns translucent. Add methi leaves and saute for few minutes. Next add rice and saute for a minute or two. Add water and salt to taste.Bring this to boil. 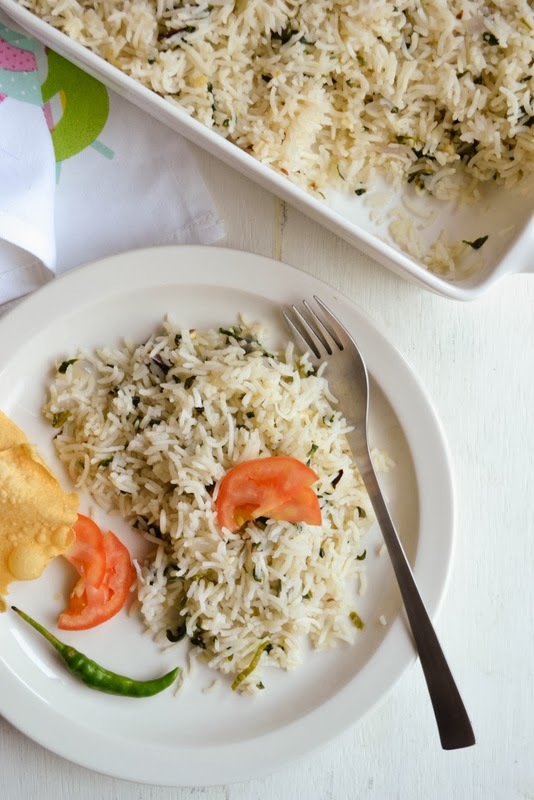 Reduce the heat to low,cover and cook until rice is done.Once cooked through,fluff the rice using a fork.